A couple years ago, back when the Handsome Wade was just a fledgling of an idea and I still worked for Starbucks, I met Ryan, a barista at a local shop. He had an incredible knowledge of coffee, I knew he had a future in the coffee industry. Not long after I met him, he moved to Walla Walla, Washington to pursue that future. We recently reconnected over Instagram and he asked if I’d be willing to give his shop’s coffee a shot, obviously I said yes. A couple of days later, the aromatic cargo graced my doorstep. The smell of coffee permeated the box and filled the kitchen as I cut the packing open. The experience made for a great first impression that only improved when I saw the bag. 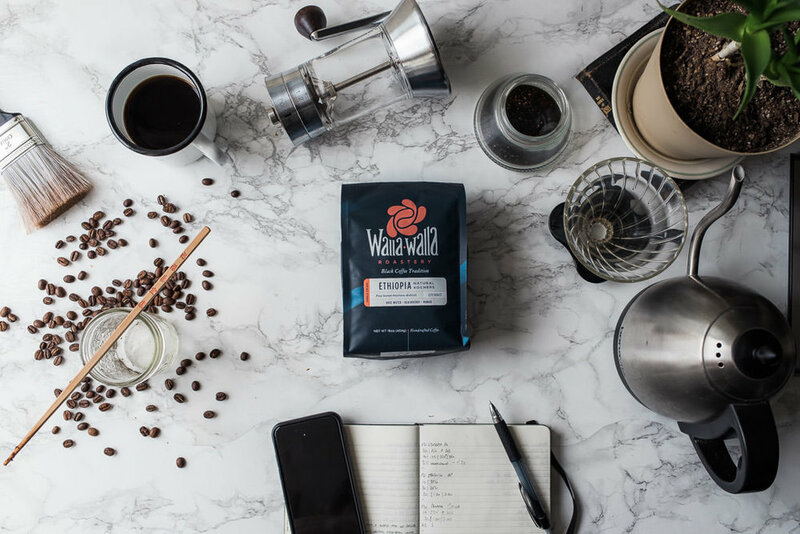 I did my research on the Walla Walla Roastery, and the package design I received wasn’t what I was expecting. Apparently, between the time of my research and the shipment of this coffee, the Roastery went through a rebrand. The coffee I received came packaged in a deep blue bag with a that made the clean logo pop. The white label made the coffee details easily readable and the back gave an introduction to the Roastery. This natural process coffee comes from the Kochere district in Ethiopia, one of my favorite combinations of coffee sourcing. The natural process really emphasizes the fruity and floral notes Ethiopian coffees are known for. The whole bean had a wonderful aroma of blueberries and flowers, like I just walked into a flower shop with a blueberry muffin in hand. This coffee hits the palette with initial notes of blackberry. As it washes over the tongue it mellows into notes of mango that lingers with rose-like aromas. Those aromas hold to the roof of the mouth, filling the nostrils with each breath. It has a juicy body and a lively acidity that calms into a mild tingling sensation like the aftertaste of a mint tea. My subsequent brews with the Aeropress and V60 resembled my initial tasting notes, though the fruit notes varied as natural processed coffees often do. Sometimes, the mango tasted more like peach and the rose aromas shifted to honeysuckle. The American Press, brought a more full bodied experience that really brought out the mango notes. It also brought the notes of rose into the aftertaste and almost entirely eliminated the tingling aftertaste. 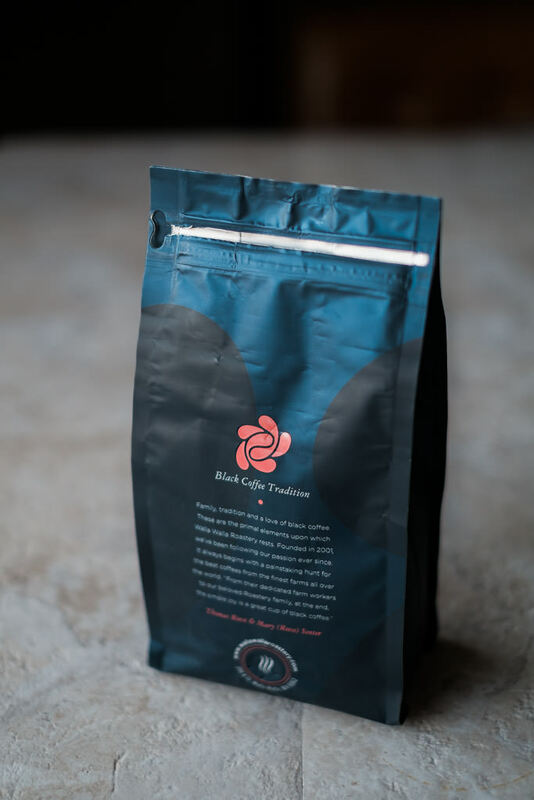 If you’re the kind of coffee drinker who loves bright, acidic coffees full of fruit and floral notes, this coffee is definitely for you. 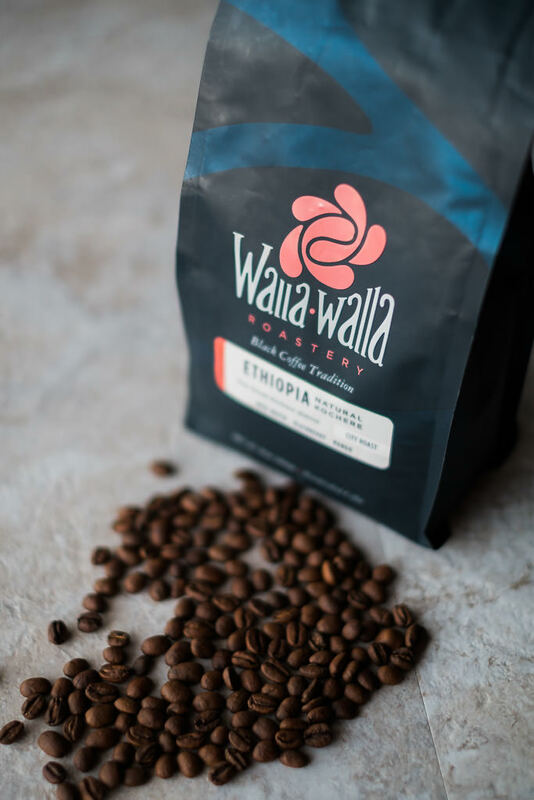 If that’s not your jam, don’t worry, Walla Walla Roastery certainly has coffee to suit your taste. Check out their selection of single origins and blends (maybe try a little 3 Kings Holiday Blend! ), if you order soon, you could have a excellent cup of black coffee for Christmas! I don't get any commission from links to Walla Walla Roastery. If you haven’t yet, check out my buying guide for Christmas this year!